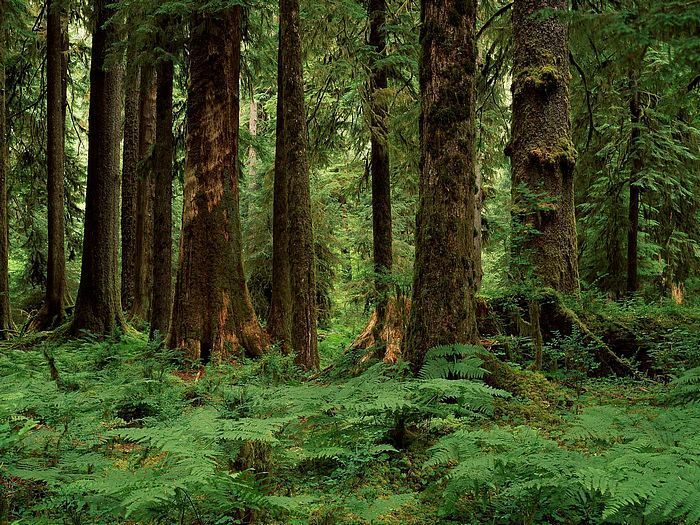 Roosevelt Grove of Ancient Cedars: The Roosevelt Grove is an old growth cedar forest with trees that are 4-12 feet in diameter and 150 feet tall. Although 75% of the original grove was destroyed by a fire in 1926. The average age of the remaining trees is 800 years, with a few survivors of the fire remaining that are 2000-3000 years old. There are several campsites off the parking lot, so you don’t have to worry about carrying your camping gear too far. There are several day hike trails from the parking/lot campsite. A 1-mile loop trail of moderate difficulty leads up the old road for 200 feet above the trailhead. The trail then turns left up the hillside in a series of switchbacks to viewpoints of both the Upper and Lower Falls. After about 1/2 mile, the trail again enters the old road. At this point it’s an optional 1/2-mile return hike down the old road to the trailhead or an additional 1/2-mile hike to the Upper Grove, which extends for approximately 1/2 mile between the old road and the creek. Stay on the trail, as the surrounding area can be marshy. Almost directly across the main road (No. 302) lies the trailhead to Roosevelt Trail No. 266. 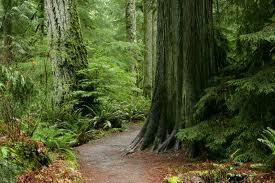 This is a more difficult trail that ascends a hill with switchbacks to another stand of old-growth cedar. The total distance of this trail is 4.5 miles. From this trail you can access other trails to Little Grass Mountain, Boulder Mountain, and Zero Creek. These trails offer panoramic views of the surrounding area. For the hearty hiker, there is Grassy Top Trail No. 379. The trailhead is 3/4 of a mile south of the Stagger Inn entrance. This is an 8-mile hike, with the terminus at Grassy Top Mountain offer beautiful views of the surrounding area.